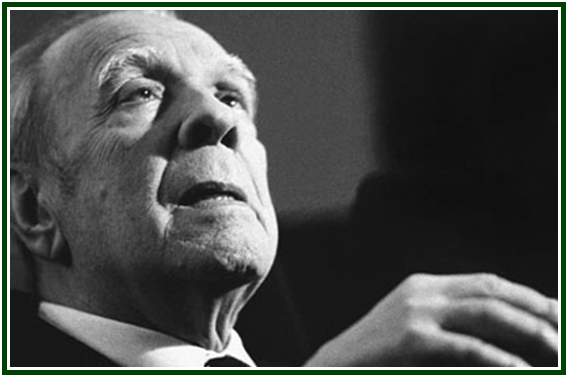 In the following text, Jorge Luis Borges shares the same viewpoint adopted by H. P. Blavatsky. We have added the subtitle. Perhaps universal history is the history of a few metaphors. I should like to sketch one chapter of that history. Universal history followed its course. The too-human gods attacked by Xenophanes were reduced to poetic fictions or to demons, but it was said that one god, Hermes Trismegistus, had dictated a variously estimated number of books (42, according to Clement of Alexandria; 20,000, according to Iamblichus; 36,525, according to the priests of Thoth, who is also Hermes), on whose pages all things were written. Fragments of that illusory library, compiled or forged since the third century, form the so-called Hermetica. In one part of the Asclepius, which was also attributed to Trismegistus, the twelfth-century French theologian, Alain de Lille – Alanus de Insulis – discovered this formula, which future generations would not forget: “God is an intelligible sphere, whose center is everywhere and whose circumference is nowhere.” The Pre-Socratic spoke of an endless sphere; Albertelli (like Aristotle before him) thinks that such a statement is a contradictio in adjecto, because the subject and predicate negate each other. Possibly so, but the formula of the Hermetic books almost enables us to envisage that sphere. In the thirteenth century the image reappeared in the symbolic Roman de la Rose, which attributed it to Plato, and in the Speculum Triplex encyclopedia. In the sixteenth century the last chapter of the last book of Pantagruel referred to “that intellectual sphere, whose center is everywhere and whose circumference nowhere, which we call God.” For the medieval mind, the meaning was clear: God is in each one of his creatures, but it not limited by anyone of them. “Behold, the heaven and heaven of heavens cannot contain thee,” said Solomon (I Kings 8:27). The geometrical metaphor of the sphere must have seemed like a gloss of those words. Dante’s poem has preserved Ptolemaic astronomy, which ruled men’s imaginations for fourteen hundred years. The earth is the center of the universe. It is an immovable sphere, around which nine concentric spheres revolve. The first seven are the planetary heavens (the heavens of the Moon, Mercury, Venus, the Sun, Mars, Jupiter, and Saturn); the eighth, the Heaven of Fixed Stars; the ninth, the Crystalline Heaven (called the Primum Mobile), surrounded by the Empyrean, which is made of light. That whole laborious array of hollow, transparent, and revolving spheres (one system required fifty-five) had come to a mental necessity. De hypothesibus motuum coelestium commentariolus was the timid title that Copernicus, the disputer of Aristotle, gave to the manuscript that transformed our vision of the cosmos. For one man, Giordano Bruno, the breaking of the sidereal vaults was a liberation. In La cena de le ceneri he proclaimed that the world was the infinite effect of an infinite cause and the divinity was near, “because it is in us even more than we ourselves are in us.” He searched for the words that would explain Copernican space to mankind, and on one famous page he wrote: “We can state with certainty that the universe is all center, or that the center of the universe is everywhere and the circumference nowhere” ( De la causa, principio e uno, V). Perhaps universal history is the history of the diverse intonation of a few metaphors.